Pet insurance reimburses you for your dog or cat's unexpected medical bills. Your employees thrive on the amount of benefits they can receive. By offering quality incentives for an honest day’s work, your business can improve morale, experience a lower turnover rate, and increase its productivity – simply by keeping your workforce happy. 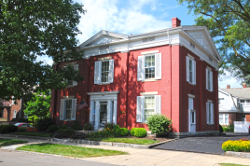 Koverman Staley Dickerson Insurance Agency understands how important employees are to your business, and how much the security you offer as a business owner can attribute to their success. That’s why we offer additional benefits like Profit Sharing Plans. These plans are designed to compensate your employees with stocks, bonds, or cash based on your business’s profits. The funds can then be distributed immediately or deferred until retirement. Your employees have invested years of time and service into your business. Show them your appreciation with a Profit Sharing Plan that counts. To learn how to set up your Profit Sharing Plan, contact Koverman Staley Dickerson Insurance Agency today. 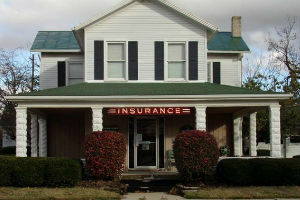 The staff at Koverman Staley Dickerson Insurance have always taken care of my insurance needs. They have advised me on how to best protect my family, home, business and employees. I appreciate having a local agent who I can talk to face to face when I have questions. I know them, I trust them and they work hard for me. Here at Milcon Concrete, we have been a client of Koverman Dickerson Insurance since 1995 and have been very satisfied with their service. We have found them to be very customer driven and helped us expand our business by over 50%. In the construction industry it is very important to have an insurance agent that understands the business and reacts to the ever changing environment. Koverman Dickerson has proven to be a great partner over the years and I would recommend them to anyone. It is hard to find companies that respond to your needs with as much diligence and care as they do. It was January 26, Carla’s birthday. While visiting her mother that day, in Dublin, Ohio, she got a call that our home was on fire. When she arrived home, an hour and a half later, the firemen were still there and so was our insurance agent, Joe Dickerson. 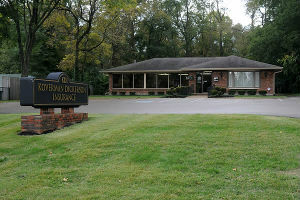 Joe was nothing but comforting and supportive that day, as was our whole experience with Koverman Dickerson Insurance. As we would never have known what to do next, Joe had already started the process of restoration. Within hours Chris Morgan of Cincinnati Insurance and Mike Stacy of Airway Construction and Restoration were at the house assessing the damage, sealing off the roof (snowy, 19 degrees) and working late into the night to make sure the house was secure before they left the property. Everyone was prompt, thorough, and followed through until our home was restored in excellent condition. Through the whole process we never worried about our living arrangements, our house, or our property. 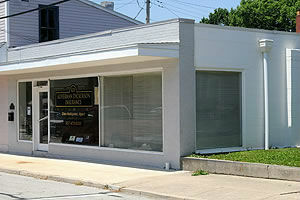 All of the payments were made to all parties involved in the restoration process in a very timely manner. Even though this was a difficult experience, Joe Dickerson, the Koverman Dickerson family, Cincinnati Insurance, and Airway Construction have provided comfort, support, and wonderful service. Proudly serving Troy, OH, Piqua, OH, Covington, OH, New Carlisle, OH, Tipp City, OH, Huber Heights, OH, and surrounding areas.